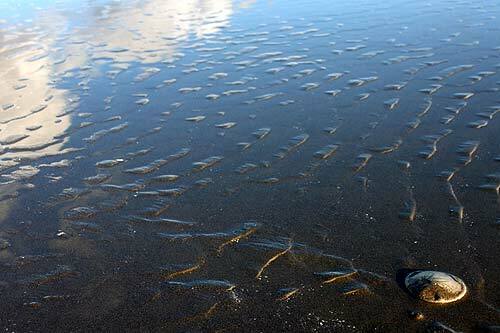 (Seaside, Oregon) – You could say it all starts at Gearhart, the little town that's like a northern suburb of Seaside. Or perhaps at the southern end of Seaside and Tillamook Head. 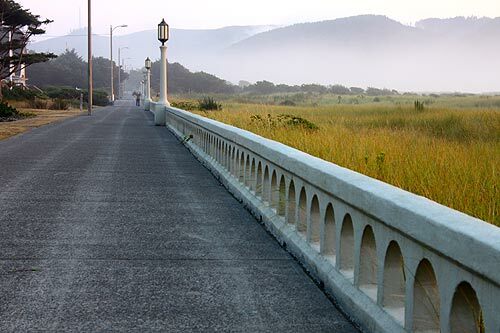 Seaside, on the north Oregon coast, has been a vacation paradise for over 100 years, starting off by coaxing in people over the coast range via railroad and by rickety old Model T's. 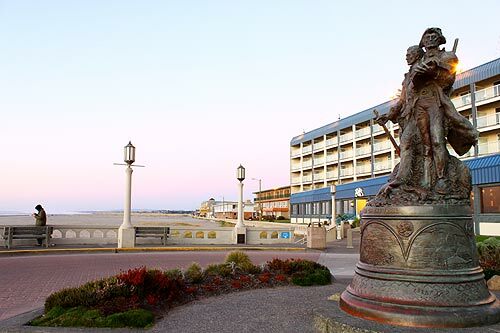 From there, the famed Promenade was built in the 1920s, the Seaside Aquarium came into existence the following decade, and the town's place in the hearts of Oregon vacationers was cemented when Highway 26 from Portland and Highway 101 was completed just before the big war. Now, vacations are taken to this beachside mix of old school boardwalk and upscale wine culture to indulge in the family fun, the attractions for kids and adults, and the simplest pleasures as well as those means of repose that appeal to more sophisticated tastes. More is at the Seaside, Oregon Virtual Tour, Map. 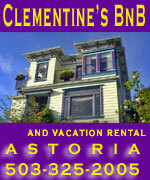 The primary vacation hotspot in Seaside is Broadway, known as the “Million Dollar Walk,” for a variety of reasons. Along here, curio shops, t-shirts and other clothing, and fast food and gourmet food are crammed into a seemingly endless line of tight spaces – a bit of a shopper's heaven. Certainly, the kids love the fun and energetic vibe, which includes a mall with a carousel and a handful of arcades and rides – some of which are seasonal. 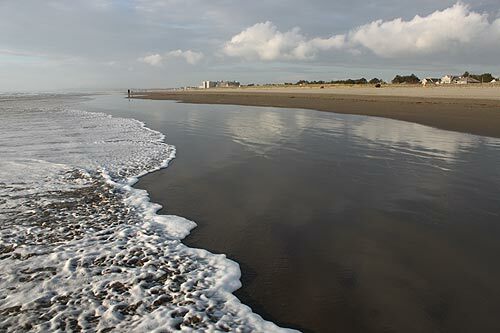 The other big attraction in Seaside is the Promenade, about a mile and a half worth of distinctively different, changing atmospheres, all along a paved path that skirts this broad and sandy beach. One part is fun and funky hotels, shifting to the more frantic pace of its centerpiece – the big Seaside Turnaround. It then moves to intriguing, historic homes that seem to whisper the past to you as you stroll along, then giving way to the quiet southern end and its less populated pleasures. More is at the Seaside, Oregon Virtual Tour, Map. Other engaging Seaside vacation attractions include a sizable helping of antique stores, the historic Gilbert District and its decidedly upscale slant, as well as the abundance of modern conveniences along Highway 101. The more pristine sides of Seaside lay at the southern beaches and the very northern beaches. 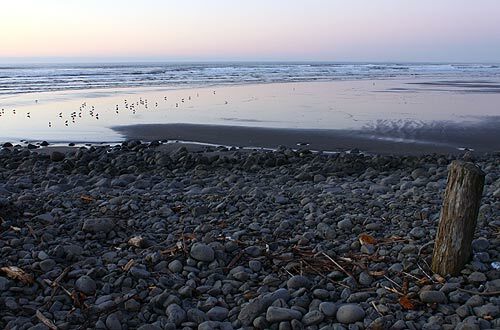 At the northern tip, between 12th Ave and the Necanicum River, you'll often find more unbroken sand dollars than anywhere else on the Oregon coast – largely because they're slightly more abundant here but also because there's fewer people to pick them clean. During the winter's lower sand level events, agate beds can be revealed at the southerly section of the beaches, about where the Promenade no longer has its sea wall. Then the “Cove” area, right up against Tillamook Rock, is not only a surfing hotspot but is a curious sudden shift in the landscape with all its rocky areas.